As I moved my cold weather tops into my dresser last fall, I found myself unable to descern what was what in the stacks of grey, black, and navy. Man did I need some variety, so I’ve worked on addeding some color (here & here) and print (here). When I was selecting fabric for my next Simply By Ti Ambassador* project, I thought I’d go in an unexpected direction by choosing a super bright pink. I haven’t worn pink in at least a decade, so I’m not even sure if it works for me, but here we go. What do you think? I don’t usually dress on theme for holidays, but I think I’m going to be pretty in pink this Valentines day. 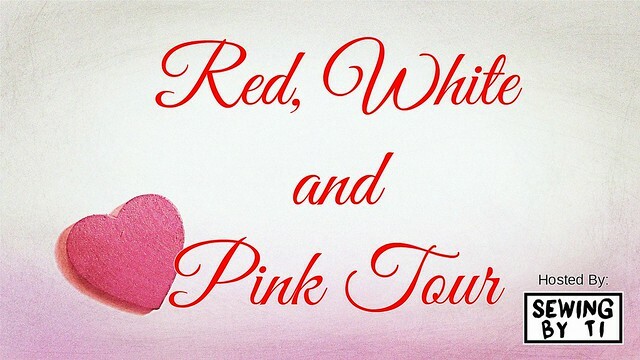 The Red White and Pink tour will be full of ideas for you to check out along the theme -keep reading to the end to see the full tour. The Pattern: B6388 view C in a size medium with no alterations. I’d made the dress view previously, so there was no guesswork as to fit or size. Just after I had finished my top version, Elle Gee posted about two dresses she made with the pattern. I think I need to try some color mixing next. The Fabric: Fuchsia French Terry from Simply by Ti. I’ve sewn with the French Terry from the shop several times and I just love it. It’s soft, has just the right body, and is easy to sew with. We’re sharing Red White and Pink all month. *As a Simply by Ti Ambassador I receive complementary fabric from the Simply By Ti shop to use for a project in exchange for sharing it with you. I have a hard time adding color to my wardrobe. This is beautiful!! I definitely need more French terry pieces in my wardrobe as well. Pink is a great color on you. The top goes nicely with the skirt and will pair easily with jeans. You look great in pink! I can see you in teals and blues and purples too! Yes, I think pink looks good on you. It seems like a straightforward and easy sew . Was that the case ? I like this pattern as it seems you can dress it up or wear it as a more casual outfit. 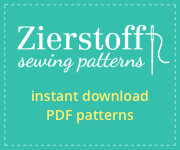 This is an easy sewing project and it would be great in a variety of fabrics. This color is great on you! That is really cute…pink suits you and of course I love the pattern. Thanks for the shout out of my two versions. It’s such a great pattern — I’m already imagining a solid version like yours! You look great in the pink and the top looks comfortable and warm! You look beautiful in this top & the color is great ! Nice and a gorgeous shade of pink.